Earlier this year, rumors said Huawei was in talks with a US carrier (later identified as AT&T) over sales of its top of the line smartphones. The last report on the matter, in August, claimed a tentative agreement had been reached. Today AT&T-branded firmware for the Huawei Mate 10 Pro has been revealed to exist, which pretty much confirms that this handset is headed to the US carrier at some point in the future. The mumblings from the summer said sales would commence in the first part of 2018, and that definitely still seems possible. 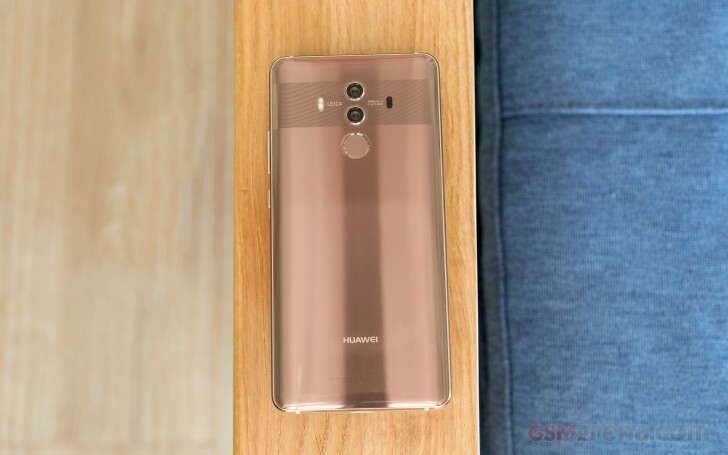 Huawei is apparently only going to make the Mate 10 Pro available in the US, and not the Mate 10 too. This isn't unheard of, with other markets also only getting one of the models. As you may have expected, AT&T will require its bloatware to be pre-installed. As with the international model, the Mate 10 Pro will run Android 8.0 Oreo with EMUI 8.0 on top. Intriguingly, Mozilla's Firefox browser will be there alongside Chrome. The Chinese company could officially announce the Mate 10 Pro for the US market at CES in early January. Pricing details haven't been leaked yet, nor a specific release time frame.